Former First Lady Laura Bush will speak at the annual Each Moment Matters Luncheon, now in its sixth year. The Each Moment Matters Luncheon has been making a dramatic impact by honoring a community of inspiring individuals annually. The luncheon is the main fundraiser for the Faith Presbyterian Hospice Caring Fund. The Faith Caring Fund allows the opportunity to provide individuals, at no charge, a wide variety of highly-specialized supplemental and bereavement services designed for patients, and to help their family members cope with grief and loss. Japanese floral artist Azuma Makoto will debut his internationally acclaimed sculpture, Shiki I, in his upcoming exhibition Shiki: Landscape and Beyond. 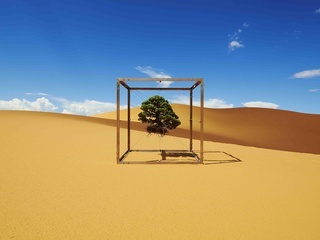 Makoto’s shiki I, a 5-foot "timeless pine tree" encapsulated by an open steel frame, will be suspended in mid-air, surrounded by large-format photographs, shot by Azuma’s collaborator, Shunsuke Shiinoki; illustrating its almost 10 year path around and above the globe. The exhibition will include new photographs of the Shiki in extreme landscapes that these plants would never naturally occur as well as documentary footage in a digital format. Spend a night at the cabaret when New York star Ashley Brown brings her unique stage show to the Meyerson with Chicago, Make Someone Happy and Defying Gravity. The outstanding professional musicians of the Emerald Trio begin Fine Arts Chamber Players' latest program with Felix Mendelssohn’s Piano Trio No. 1 in D minor, Op. 49. This 28-minute work is paired with Dvorak’s Trio No. 4 in E minor, op.90, & Dumky, a dizzying, emotional piece based on a “dumka,” or Slavic folk song. Members of the Emerald Trio include Dallas Symphony violinist Aleksandr Snytkin, cellist Marie-Thaïs Levesque Oliver, former principal cello of the Akron and Canton Symphonies, and pianist Andrey Ponochevny, international soloist and Bronze Medal Winner of the 2002 Tchaikovsky International Competition in Moscow, Russia. The 2015 St. Jude Evening Under the Stars Party will kick off with a cocktail reception followed by a seated dinner, live and silent auction. All proceeds from the party will go directly to St. Jude Children’s Hospital. Chefs for Farmers will present a new signature Downtown event, the Butcher Block Party. 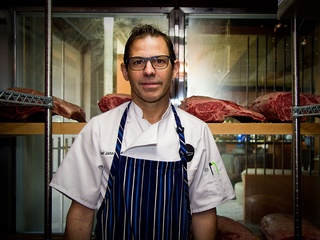 A dozen of the hottest local and national chefs are serving up a meat lover's dream featuring meat galore, world class wines, classic cocktails, cold beer, and music. Have you been to the Arboretum this season? The 66-acre Dallas Arboretum is a perfect place for a fun family photo in Cinderella’s Carriage or a leisurely walk among 150,000 fall-blooming flowers such as chrysanthemums and impatiens during Autumn at the Arboretum. This year, a record 75,000 pumpkins, gourds and squash create the impressive and nationally acclaimed Pumpkin Village – a collection of whimsical pumpkin houses. Crooner Josh Groban will come to Dallas in support of his new album, Stages. Julie and Julia screens as part of the Sunday series at Knife at The Highland Dallas a culinary film-themed program. The series will continue on Sundays of select months in 2015 and with the purchase of each ticket, guests will enjoy themed gourmet bites by renowned Chef John Tesar and craft beer from Four Corners Brewing Company. Prominent guest speakers from the film and food industries will also speak before each screening.